JTJB Senior Partner, Dato’ Jude Benny was appointed as the Conference Chairman for the 3rd Mare Forum Singapore held on 8th February 2017. In addition to his role as the Conference Chairman, Dato’ Benny also moderated the Conference opening session titled “Change! The post-crisis perceptions and realities”, where there was a lively discussion on the 2017 outlook for the maritime industry. Dato’ Benny has been actively involved in the Mare Forum Singapore since its inception in 2015, and also took on the role of conference chairman in 2015 and 2016. 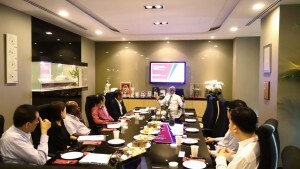 On 17 January 2017, JTJB Senior Partner, Dato’ Jude Benny, hosted a breakfast roundtable discussion for liquidators on a recent landmark decision, Centaurea International Pte Ltd v Citus Trading Pte Ltd  SGHC 264. The decision in Centaurea International is the first local decision on section 259 of the Singapore Companies Act. 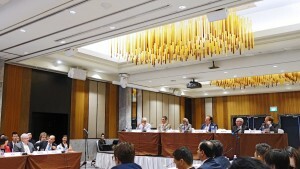 As counsel representing the successful party in this decision, Dato’ Benny was well placed to bring the liquidators through the factual background and discuss key aspects of the decision such as the relevant time for inquiry under section 259 of the Singapore Companies Act, and the “benefit” requirement under section 259 of the Singapore Companies Act. JTJB’s Shipping Practice has been highly recommended and ranked by Chambers and Partners 2017 edition. JTJB Senior Partner, Danny Chua is also a ranked individual in Chambers and Partners. 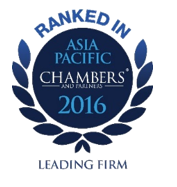 Chambers & Partners is a leading global directory that has been assessing lawyers and law firms since 1990. This ranking reflects JTJB’s expertise in all aspects of maritime law and in particular shipping disputes, offering strength in both litigation and arbitration. On 15th February 2017, JTJB Senior Associate Muhammad Raffli was presented with this award by the Director of Legal Aid, Ms. Lim Hui Min at an Appreciation Lunch held at the Four Points by Sheraton Riverview Hotel. The Legal Aid Bureau is a department under the Ministry of Law which provides support for legal representation and civil case advice to individuals with limited means. The Legal Aid Bureau’s De Novo Award is presented to lawyers with not more than 5 years of experience in appreciation of their dedicated contributions rendered to the Legal Aid Bureau. 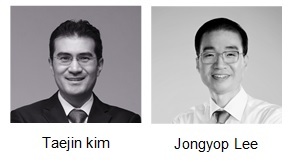 JTJB’s Korean network partner, K & P Law firm’s partners Mr Jongyop Lee and Mr Taejin Kim have been elected as President and Director of International Affairs respectively of the Incheon Bar Association. Their service term will be from Feb 2017 to Jan 2019. The Incheon Bar Association is the representative body for Korean lawyers practicing in Incheon and provides legal services such as, counselling, legal aid and training.